HOW I GOT THIS BOOK: I thank Tushti Bhatia and Sandeep Sharma of Author Paradise for this review copy. Anything to Look Hot is an insider’s perspective on something most people would like to know details about. When the book came up for review, I really picked it up because of the quirky title. While the title itself was engaging, I assured myself that the book would offer a detailed perspective on the not so popular rear side of one of the largest supporting industries of most film industries (unofficially). Humans, as a whole, are mostly dissatisfied. It is hard to find a man or a woman who is totally satisfied with everything life has given them. While most people are upset with the lack of money, adventure, opportunities, and a million other things, a vast majority of people are disgruntled over their looks. Many men and women are not happy about their physical features. In this society and age where people are obsessed with looks, one of the most underrated, but otherwise very monetarily successful thriving fields of medicine is plastic surgery. It is the ability to sculpt humans. A god like ability that allows humans to alter god given features also comes with huge responsibilities. 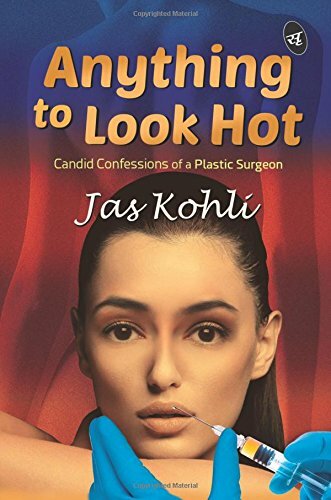 Dr. Jas Kohli is a professional plastic surgeon who has written this piece of fiction on what seems like his life’s experiences. Any book is a product of the author’s imagination, and any authors mostly inadvertently include a part of themselves in the books they write. While this is not very evident in many cases and from seasoned writers, it is only natural that debutants let their work seep through their thoughts as words onto the book. Jas Kohli has given a fictional account of the trials and difficulties a plastic surgeon faces. All is not glamorous in this world of beauties. Faces and sometimes bodies are sculpted until the fit the widespread image of what is perceived as perfection. People think that the ideal definition of beauty is something they have to strictly adhere to in order to be considered beautiful. The world of Dr. Dhruv is filled with such beauties – celebrities who want their features altered. The young Dr. Dhruv passes a particular examination and trains for a further two years to become a qualified plastic surgeon (a process that I did not know existed until I read this book). On his father’s advice, Dhruv enters the glamorous and high paying bollywood industry as a favoured plastic surgeon. His experiences in both his professional and personal lives and the events form the rest of the story. The story had the potential to be a witty humorous account of a plastic surgeon that would have been lapped up by literature lovers and bollywood fans alike. But it does falter in not striking a balance between the technical details and the flavour required to make it an enjoyable piece of fiction. While this is not a prerequisite per se, it is a much needed element to make the book actually enjoyable instead of going over the heads of laymen readers. The language, thankfully, is good. It is clear and simple. The formatting is clean to read. The book could have had a little more humour in writing but that is not a major complaint. The insider perspective on the world of plastic surgery. The story concentrated only sparsely on few characters who seemed important, but were actually not so. There were absolutely no pits, twists and turns. The story had the potential to become a thrilling ride filled with shocking incidents or a humorous account that held readers’ interests. But it flowed in a straight line. VERDICT: Why not? This is different, refreshing. And you get to know what all the hype about plastic surgery is and if it is worth the hassle. GENRE: Nonfiction / Self – Help. The book talks of art of achieving happiness. It is filled with author’s lifetime experiences about human psychology. It is highlighted that happiness is nothing but a state of mind and that state can be attained only by exploring the inner world. Simple lifestyle, benevolent deeds, positive mindset and clarity in thoughts are the prerequisites for being happy. By chasing and trying to be happy no one can attain happiness. It is spontaneous. There is a disbelief that money is the yardstick of happiness but in most of the cases excess money is the root cause of unhappiness. Ego is the greatest barrier in the way to happiness. The key to happiness is to make others happy. Several real life incidents are portrayed in a lucid manner in various chapters of this book. This book has the potential to transform a human being and show him or her the right way of living and enable the readers to get the true meaning of life. The mission of the author is to awaken the dormant happy persons, who are in deep slumber within the folk. 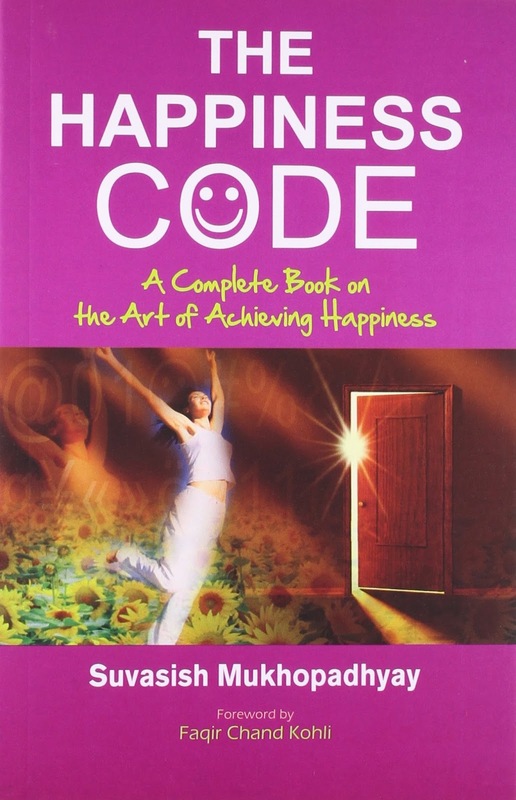 The Happiness Code is a different wine in the ‘Self Help book’ bottle. The book came to me as a review copy and while I did not expect this to be a mysterious Da Vinci Code of happiness, I knew this would be a good self help book. The cover is themed pink, and though I am not sure it is a very happy or pleasant colour, I guess it suited the mood of the book. The font was thankfully easy to read and there are no real complaints with the page quality. I guess it is human nature to listen to someone say you things that you already knew about. Hearing someone else say what you already know to be true not only reinforces your belief on the same, and if it is presented in a pleasing format, the sayings sound even more believable and wise, even offering an ‘entirely new perspective’. The Happiness Code is just that. It reinforces our belief that happiness is not materialistic and is totally a state of mind. The concept of happiness is explained with little snippets and stories that are apparently from the author’s experiences. The book has more than a hundred chapters or codes of happiness and each one follows a common theme. For such an ambitious book, it is riddled with some major typographical errors and some editing flaws. The book and the language are pleasant but the experience is marred by a few misplaced errors. There are a few memorable quotes from the book that sound like philosophies. Overall, this book is a good attempt at something common that the author has tried to present in a slightly uncommon way. The stories are short, crisp and concise. The book is definitely not just another one time read. There are parts of this book that the reader would enjoy at look at randomly. The concept and the content. The book is easy enough to read and understand. The book could do with a little more proofreading. That would make it a treasured copy. VERDICT: Go for this one if you need some little self help quotes and wise sayings to motivate yourself. Mukhopadhyay Suvasish is a full time faculty member of Civil Engineering in College of Engineering, Pune. 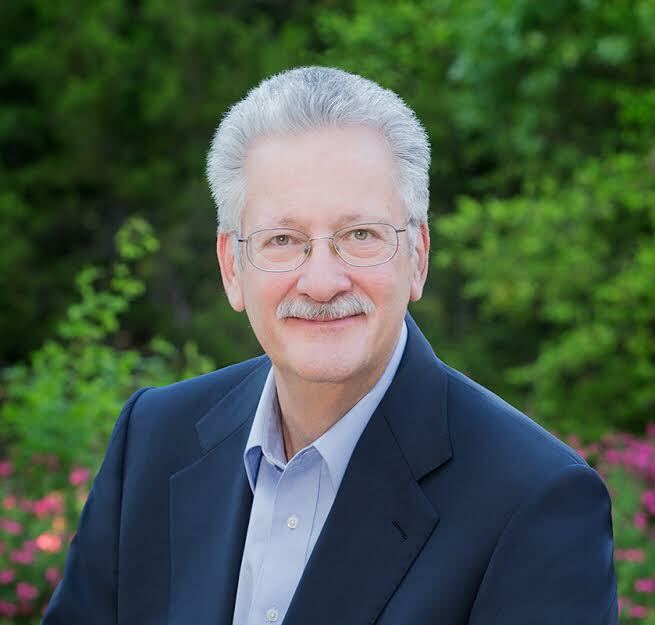 His academic track record is excellent, receiving distinction throughout the career. He has more than seventeen years of teaching experience. He taught Management Studies, Fluid Mechanics, Dams and Hydraulic Structures, Soil Dynamics and Numerical Methods to the students of undergraduate and postgraduate classes of Civil Engineering and guided several students in their postgraduate level dissertation works. He is actively engaged in teaching and research works on Fluid Mechanics, Water Resource Engineering and Computational Fluid Dynamics. Apart from his faculty position, he is a freelance student counsellor. He is in the panel of experts in various universities and private bodies. Prof. Mukhopadhyay has published many papers in different national and international conferences, publications and reputed journals. Till date he has to his credit four books, namely You can Score More, Tsunami the Biggest Bane, My Students of Far and Near, and Fundamentals of Fluid Mechanics. HOW I GOT THIS BOOK: I thank Debdatta Sahay for this review copy. As a child, Biddu dreamt of going West and making it big as a composer. At the age of sixteen, he formed a band and started playing in a in Bangalore, his home town. At eighteen, he was part of a popular act at Trinca's, a nightclub in Calcutta devoted to food wine and music. At nineteen, he had college students in a Bombay dancing to his music. In his early twenties, he left the country and ended up hitchhiking across the Middle East before arriving in London with only the clothes on his back and his trusty guitar. What followed were years of hardship and struggle but also great music and gathering fame. 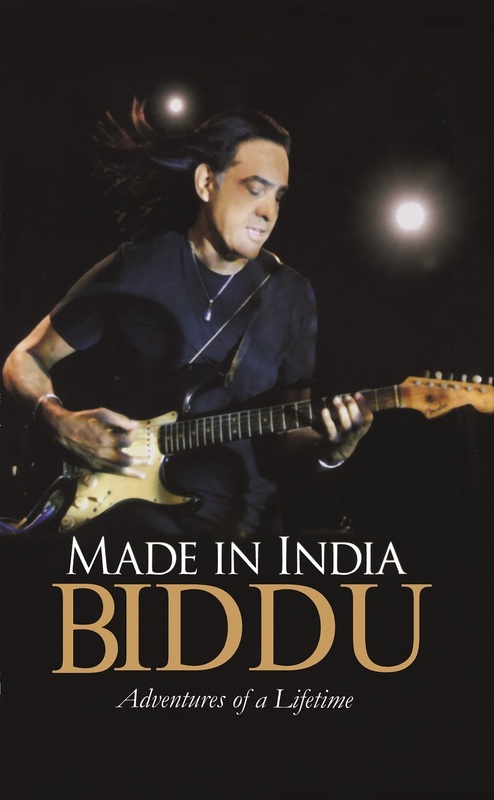 From the nine-million-selling Knng Fu Fighting to the iconic youth anthem of Made in India and the numerous hits in between, Biddu's music made him a household name in India and elsewhere. Made in India – a story of a global citizen who is an Indian at heart. The book itself has a very unassuming but very alluring cover. I think that the image on the cover suited the contents of the book well. The paper quality was great and the font looked readable. There really isn’t much to comment on about the story in an autobiography. It is supposed to be the account of things as they happened – with a little language polishing to suit the taste of the audience. My review of the book is going to concentrate on the language and style of the book. Autobiographical stories are make or break based on how they are written. Some turn out to be very glorifying and hide the nastier aspects. Some list out every minor suffering the person has ever gone through and ends up with a mild pride in the tone of one having succeeded against all odds. Writing an autobiography is worthy only when one has succeeded in life. But that doesn’t mean the overall tone has to be condescending or fake – modest. Thankfully, Made in India is a great book. It has the right amount of inspirational message, humour and very relatable events. It is the story of a man who had a dream and followed it until he succeeded. The book clearly shows that the path to success is not easy and one failure is not the end of life – after all, that is the true purpose of an autobiography. I admired Biddu’s direct style and his self effacing approach. He might have embellished certain parts – though even a seasoned reader who takes everything with a pinch of salt would not find any evidence to support that claim. The language was simple and the journey one of ups and downs. The book was very endearing in certain parts, and there was no pride or ego in the words of Biddu. I was not very aware of the popular hit ‘Made in India’ (yes, I just peeped out of a cave from my self imposed exile to read this book and review it – not that bad, but that is how it sounds when I say this statement). But this book made sure I will go ahead and hear it. · The author’s style and the tone of the book. There really is nothing much to complain. VERDICT: I recommend this to fans of music and autobiographies. Southern Italians were eighty percent of the immigrants to New York where their labor was needed for growing commercial and industrial activities in Manhattan. The majority were general laborers. Those who had skills were merchants, stonecutters, mechanics, mariners, masons, barbers, seamstresses and shoemakers. Women most often worked in the garment industry. Italian immigration was composed principally of poor people who hadn’t enough money to pay transportation expenses from the ports of disembarkation, and therefore had to find work immediately. That's why the padrone system of employment was accepted. Padroni generally were labor agents who sold jobs to men eager to migrate. Many padroni were sub-contractors building railroads, tunnels, and canals with crews of migrant laborers. While immigrants were often preyed upon by other Italians and relegated to the lowest economic tier, a comparison of wages in Italy versus America demonstrates that despite the cost of travel and the cut of the padrone, Italians earned far more money in the States than in Italy. Furthermore, in Italy patron-client relationships weren't viewed as a limit on individual liberty. On the contrary, patronage was an integral dimension of Italian life at every level of society. While patronage corrupted Italy’s government, Italians viewed a patron relationship as an advantage and those without patrons as truly powerless. The early literature on Italian immigration to New York emphasizes the squalor of their living conditions. While this is undoubtedly true, something about Italian life in New York eventually stemmed the tendency to repatriate to Italy and attracted people to remain in the United States. Italians often immigrated to where kin, friends and neighbors had settled, familiar social networks. Factories transformed Italians from agricultural peasants into wage-earners. Southern Italian work ethic and belief in family encountered a degree of economic mobility and city-life social interactions not available to most of the men or women in the agricultural orientated villages they left. This new economic and social order was attractive. 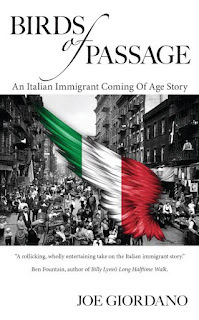 Eventually a critical mass of Italians from the same village, same area or same kin had come to New York, and more men began to immigrate with wives and children. Italians adopted the United States as a permanent home. It is not often that a historical fiction set in two different geographically diverse areas grabs my attention as a reader. I shy away from this genre and try not to render my half baked comments about the same. But when I got an opportunity to try this book, I took it up because it was touted as a ‘rollicking entertainer’. While the book is in no way light hearted and entertaining, I am glad I picked this one up. I did not expect a mockery or a funny book about the difficulties the immigrants faced. But I did expect a dry humour and wit in the story line. Birds of Passage, on the contrary was a beautiful heavy read. It touches your mind in a way only poignant literature could do. Kudos to the author for being so expressive in his words. Leonardo and Carlo are Italian men, both reaching America at the turn of the twentieth century, leaving Italy for their own, diverse, individual reasons. Their paths cross in the country they reached in search of fortune and anonymity. While romance is in the air, even that is plagued by politics and wealth differences. Two young men, desperate to succeed, approach life in different ways, stopping at nothing. What happens when they are drawn into the world of crime, mafia and corrupted politics forms the rest of the story. The language is powerful, the scenes are shocking and memorable. And as a reader who knows little about both the countries that are involved, I saw this book as a glimpse into the past of the Italian Immigrants in America. While most events that transpired in this book might seem improbable now, history has enough proof to show us they happened. Read this book if you are prepared to know how hard it is to totally come out of a culture and country into a diverse, shocking, whole new world. HOW I GOT THIS BOOK: I thank Pulkit Gupta of Gargi Publishers for this review copy. Lost and alone, Sonya fought with the demons that haunted her, threatening to rip her apart! “They want me dead…” Sonya mumbled as fear took hold of her. Being a superstar in Bollywood provided no solace to the gorgeous Sonya Rana and there was no running away from the fear that she experienced every waking moment. Jay tried to soothe her frayed nerves with his love but she chose to shut herself from the world. All she wanted was to leave her dark past behind, somehow. “Let me go… please," Sonya pleaded to Tania, her step-sister who fiercely loved and protected her. Sonya knew the bitter truth. In the end, either one will survive; she or the demons raging within her, and if the demons won, it would spell an end for Sonya. When one’s soul takes a beating, all hope is lost and everything is over in a single heartbeat. The ‘Diabolical’ had manifested itself within the gorgeous Sonya, killing the hope of a chance at a beautiful life she could have had. Read this book to unravel the dark games our mind plays with us. Experience a tumultuous ride of emotions as Sonya’s past catches up with her sending her life spiraling down. Everything is not what it seems – Diabolical is something everyone would relate to. The book arrived as a review copy from Gargi publishers. I thank them for it. The print was good, the book small and nice to hold. The words were clear. But the beginning of each chapter had a grey background that hampered the reading noticeably in places. I really do love the cover that sets the sombre mood for the book as a whole. There is a Japanese proverb that says every man has three faces. One, they show to the world. Two, the face they show to their close friends and family. And the third face that is known only to them, and is their real face. This is true for every human. Mental illnesses or ailments are one of the most rarely spoken about issues both in literature and in real life. And if done so, they are treated with disdain and sometimes mockery. The society needs to understand that not every man is either white or black. The world is filled with Greys and all it takes is a moment’s insanity or indecision to change one’s life path. This book takes the spotlight in dealing with this in a thrilling, engaging manner. Diabolical works based on a principle similar to astrology posts do – it talks about something every man generally faces, thereby making it very relatable, and very close to the readers’ mind. People sigh with relief that they are not the ones who are prey to the diabolical element. 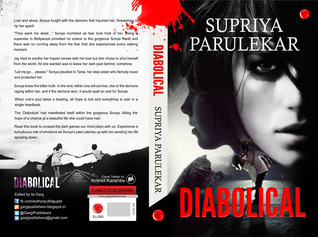 Diabolical is the story of Sonya Rana – all glitz and glamour, successful bollywood star at the peak of her career. But we are not introduced to her as a star in her films, nor are we first shown her best side. We are introduced to Sonya when she is consulting with a shrink, showing the raw and harsh side of all that beauty. She is gorgeous, successful, has a very understanding and supportive man in her life – someone she throws away and a staunch brick of a support in her sister and BFF, Tania. While this might seem like the best life to most people, Sonya is fighting the worst possible enemies – the demons inside her mind that don’t leave her alone. Depression is not limited to a particular time and the hatred that stems from it is not limited to one particular person. It is all encompassing and makes the sufferer lose their common sense on so many levels, still making them seem happy and lively as a façade. This story deals with abusive childhood and its long standing psychological effects. But that is not the only thing you will take back from this book. Without revealing many spoilers, the story is one thing that will give you a thrilling ride. It is so relatable and that is what makes it scarier. That is one of the best elements about this book. Supriya has managed to craft an edge of the seat thriller. The language is simple, the words are not complex and this makes the book easy to read. The story takes care of holding the readers’ interest – until the very end. The character of the sister. The book’s typeset is good. But the first page of each chapter need not have been grayed. There are a few minor typos, and a few elements in the story that could have been written somehow else. VERDICT: Go for it – this minces no words in being a perfect thriller. Supriya Parulekar is a published author with four books in her kitty and has written a story, a screenplay and dialogues for two movie projects that are under consideration at present. She has also worked as a script editor for TV18 and History Channel. She was a columnist for ‘YUVA’, a magazine for the youth. Her passions include reading, writing and travelling to new places in search of inspirations. Supriya’s debut novel ‘A Soulful of Lie’, a supernatural thriller, was very much appreciated by Lat Gautam Rajadhyaksha, a well-renowned celebrity photographer. ‘DReamcatcher’ belongs to the romance genre and it was a huge success in a couple of days since its launch. The third, ‘The Gangster’s Muse’ is a thriller and is available online and in stores. Recently, ‘BFF: Best Friends Forever’ was released and it did quite well in the ‘Teen fiction’ category. Supriya compose poems too when she is not working on her books or reading. PRICE: Rs.99 for Kindle, Rs. 185 for paperback. FORMAT: Kindle e – book. · Ananya: A bubbly twenty year old engineering student— the narrator of the story. · Ammamma: Ananya’s Grandma, Arundhati Mukundan, an author by profession, who loves playing Cupid. · Dr. Arjun: The dashing doctor who is the heir to a multi Billion super market chain ‘Shine’. · Colonel R.S Nair: A helpful neighbor whose charming talks always influences Ananya. · Dr. Vishal: Ananya’s cousin and Arjun’s best friend. · Shakuntala Devi: Arjun’s mom, the current head of the ‘Shine’ empire. · Shankar & Sukanya: Ananya’s parents. · Khushi and Poornima: Ananya’s best friends in college. · Kishore: Ananya’s cousin who lives in the United Arab Emirates. · Shreya and Aditya: Kishore’s wife and son. · Lily: The cute Filipina girl who is Ananya’s colleague and best friend. · Tom: The handsome and funny colleague who is the heartthrob in the firm Ananya works. · Sophia: Ananya’s flat mate and friend who is an expert on Zodiac signs. Without you – expect some unexpected twists – especially at the end! The cover design looks like a watercolour of a woman in a flowing gown. While I know the author is multi talented, I am wondering if somehow, she influenced this design. A nice muted image that conveys more than it seems to, on first sight. A healthy sized book awaited me. The summary was crisp and to the point and what impressed me was the list of characters given upfront! Romances are often categorised as one time reads, with little in them to take back after the story has been finished. But sometimes, some books capture your imagination in a different way. You are not entirely sure you will be able to forget the story, but when asked to point out one favourite character, you will stall a moment because there is something you like about every character! Without You is one such narrative. The story is simple enough to hold your attention, yet narrated in a descriptive manner that you could visualise it and find yourself wandering away from the story and into the scenery at times. Ananya Shankar is a fun loving, unassuming twenty year old who goes to her maternal grandmother’s house for a summer vacation. The readers’ senses are treated her with a very descriptive account of the village and its climate and people. There she falls for Arjun, a charming neighbour and a doctor. Surprisingly, her grandmother even accepts the match, and Ananya is on cloud nine. Everything about Arjun is perfect. His looks, character, behaviour and attitude leave little to be desired. But fate has other ideas. It plays a cruel game and separates them both. Ananya is devastated, depressed, and considers suicide. While this might seem like a signature movie move, it also adds depth to the naïve character that Ananya is portrayed to be. Things look bleak and with her mind and heart warring, Ananya can neither forget Arjun nor move on in life. She tries so hard to be her normal self and manages to go through the remaining semesters in her college and lands up in a good job based on her meritorious education. Once again, fate has its say in her life and Ananya comes face to face with the best and worst happenings in her life. What happens after that forms the story. 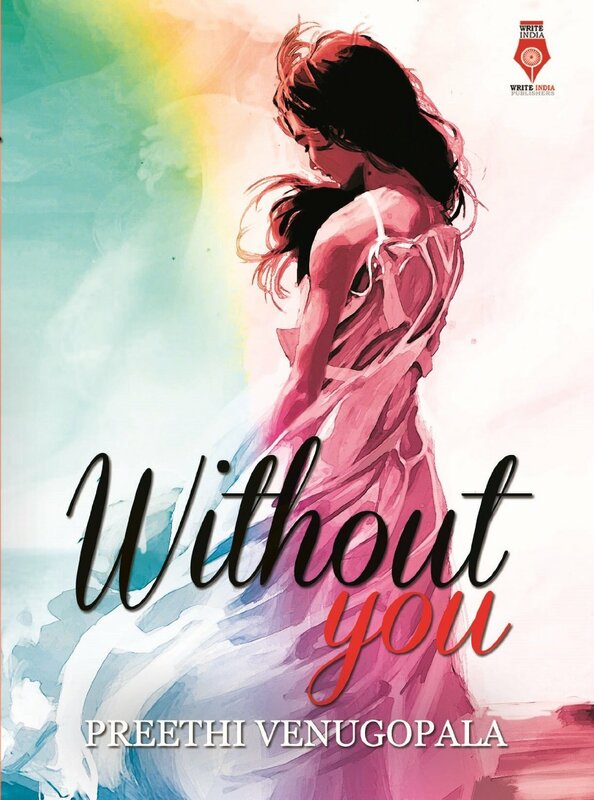 ‘Without You’, while not as ominous as the title is making it sound, is also filled with some surprise elements while nearing the end of the book. The story about the main characters is somewhat predictable. You know, deep down, that somehow, everything is going to be alright. And you could also have an idea of what the author has been meaning to do with the characters. But a few cleverly written twists at the end of the book make the story somewhat unique from others in this genre. The first half is a descriptive slow read about the bliss of falling in love and the misery of falling out of it. The second half, however, is the one you should watch out for, with the twists coming so subtly that you might miss them. The book adheres to the summary and the characters are natural and well defined, bringing with them the nativity of the region they belong to. The author has a knack for describing places and it is only natural that her prowess in her art, and also civil engineering comes out in the book! After all, which book doesn’t contain a part of its author? Overall, a good read that you could associate with if you are a romance lover! · That part of the story set in Dubai, the initial days. · The special twist with that one character in the end – the most unpredictable element in the book. The language seems a little archaic with some phrases seemingly of a different word order than is normally used. This is sometimes confusing. VERDICT: A pleasant story of love and its many trials and tribulations. Preethi Venugopala always liked stories. When alone, she would create stories in her mind but never thought about penning them down until a break from her regular job as a Civil Engineer prompted her to take up blogging. Flash fictions written for various prompts, winning story writing competitions led to publications of short stories in various anthologies and then to her first full length novel 'Without You'. She currently lives in Bangalore with her husband, son and an ever growing collection of books. When not penning down the stories of the voices in her head, she can be found curled up on a couch with her favorite book. WORLD'S BEST STORY (2015) CONTEST!